7:00 Woke up after 6,5 hours sleep. 8:00 Had two big glasses of water. 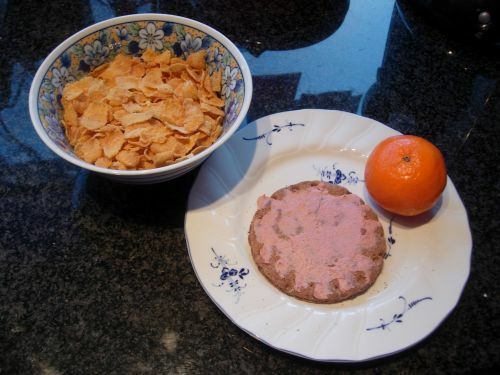 9:05 Breakfast: I ran out of yoghurt, so I had a half bowl of yoghurt with corn flakes, one Swedish crispbread with liver pate and a tangerine. After breakfast I did some laundry and worked. 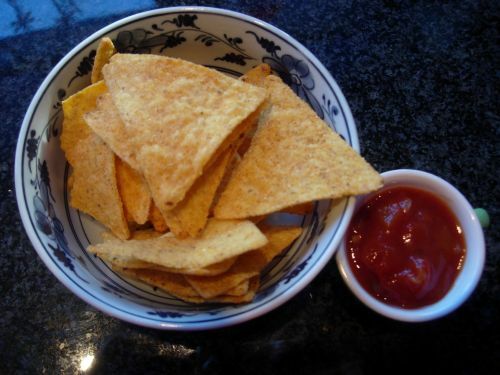 12:00 Walked to school to pick up my daughter for lunch (1,4 km), but she wanted to eat at a friend’s place, so I walked home alone. 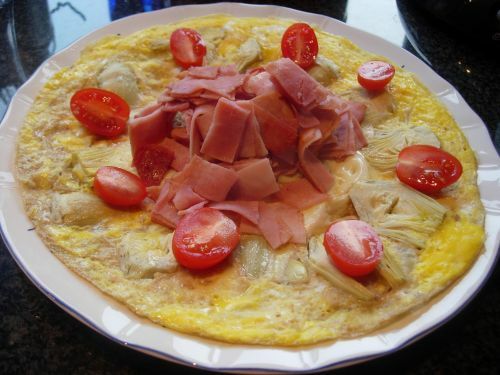 12:20 Lunch: Frittata with artichoke hearts, served with ham and cherry tomatoes. 15:05 Went to pick up my daughter, on the way home we stopped at a bridge to watch ducks and seagulls walking on ice. (1,4 km) They thought we had bread and chatted with us almost the whole time. 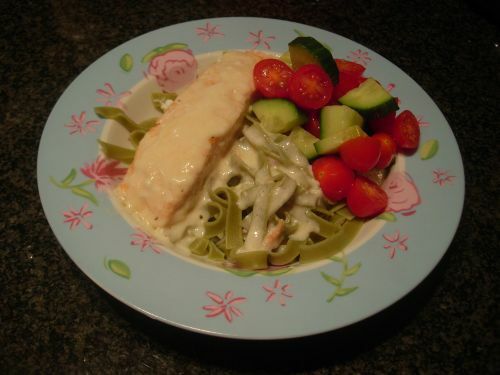 18:50 Dinner: Salmon with a creamy sauce with green tagliatelle, cucumber, tomato and vinaigrette. Today I drank a lot of tea and water. Still didn’t exercise….. This entry was posted in Challenge and tagged 6.5 hours of sleep, artichoke hearts, bored, bread, breakfast, bridge, chatting, cherry tomatoes, corn flakes, cucumber, dinner, ducks, early afternoon snack, green tagliatelle, ham, home alone, ice, laundry, liver pate, lunch, nacho chips, no exercise, salmon, salsa, seagulls, snack, Swedish crispbread, tangerine, tea, vinaigrette, walk, water, work, yoghurt. Bookmark the permalink.